Using the world's highest mountain, Everest, as the open laboratory, a group of British researchers have identified the mechanisms involved in the development of onset of diabetes (type 2 diabetes mellitus) in adults. Experts say the discovery could lead to the development of treatments to prevent the disease. At an altitude of 8,800 meters over above sea level, Mount Everest in Nepal is the highest peak in the world. The climber must have supplemental oxygen because the air is very thin. Hypoxia or lack of oxygen the blood, a risk factor for diabetes types. To that end, the researchers in the Mount Everest project tried to identify the mechanism of low oxygen levels contribute to the disease in patients who are critically ill due to diabetes. Mike Grocott, professor of anesthesia and critical pain medication at Southampton University who led the project, said in a low oxygen environment levels, insulin participant numbers began to increase, indicating that the body is resistant to insulin. There was also an increase in biological clues of inflammation and oxidative stress, or cell damage, similar to patients with type 2 diabetes. Grocott said the findings suggest that treatment may be developed to prevent the disease. "That can help control the tendency to diabetes may be the intervention that focuses on the development of oxidative stress or inflammation," said Grocott. 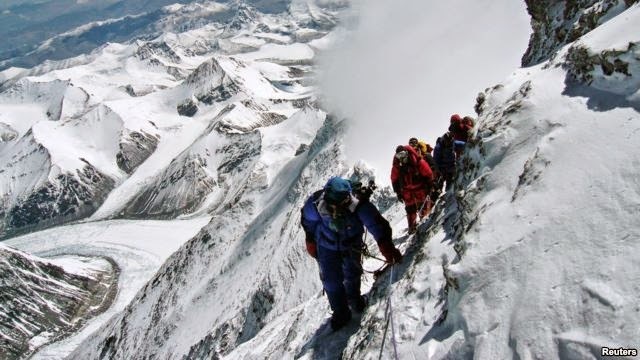 In an article published in the PLoS ONE journal, the researchers reported that the biological clues, which are caused by extreme altitude, turn around when the climbers down the mountain. Many people who have diabetes suffer from a sleep disorder such as sleep apnea, where the airway breathing is interrupted, sometimes hundreds of times per night. "It seems to make them vulnerable to hypoxia during sleep. And perhaps it contributes to the tendency to have type 2 diabetes," Grocott said.